The firm was voted among the top business development coaching and law firm advertising agencies by the readers of the New Jersey Law Journal. 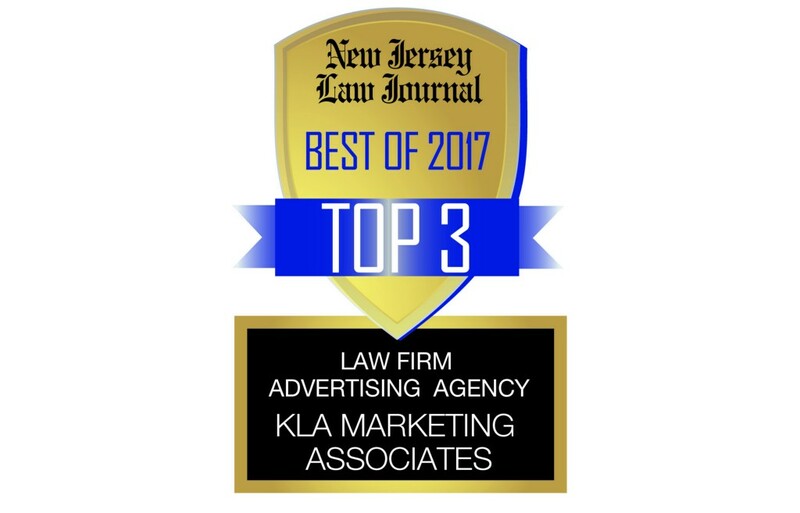 KLA Marketing Associates of Cherry Hill was voted among the top business development coaching and law firm advertising agencies by the readers of the New Jersey Law Journal as part of the American Legal Media’s publication’s “Best of 2017” readers’ survey. The annual survey, now in its sixth year, asks its readers to nominate and rank the leading service providers to the legal industry including expertise and performance of effective business development coaching, strategic planning and creative campaign delivery for the region’s legal services sector.